Hey U.S. readers! Thanksgiving is coming up next week guys! What are you taking? This year I get to make the pies. Yes! Why am I so excited? Because they are mostly done, that’s why. 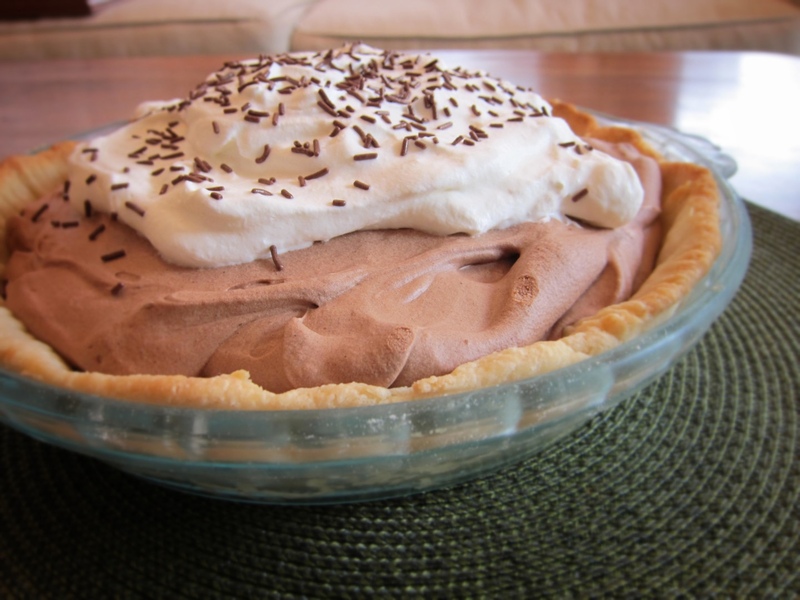 Question: What’s the hardest part about making a pie from scratch? If you follow this simple recipe you to can sit smugly knowing the hardest part is done and waiting for you in the freezer. Dice the butter and set aside. 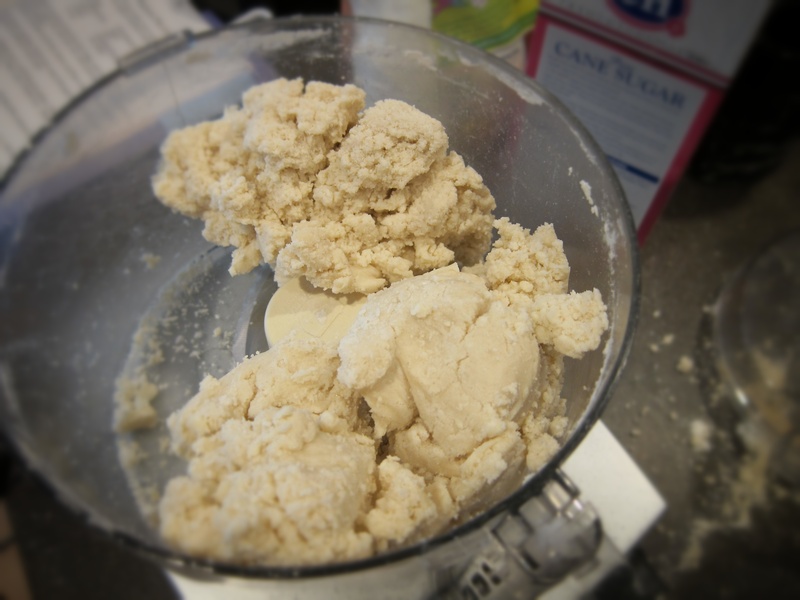 Put the flour, sugar and salt into a food processor and pulse a few time to combine. With the processor running, drizzle the ice water through the feed tube until the dough rolls itself into a loose ball. You might need more or less water than 1/4 cup so pour slowly. 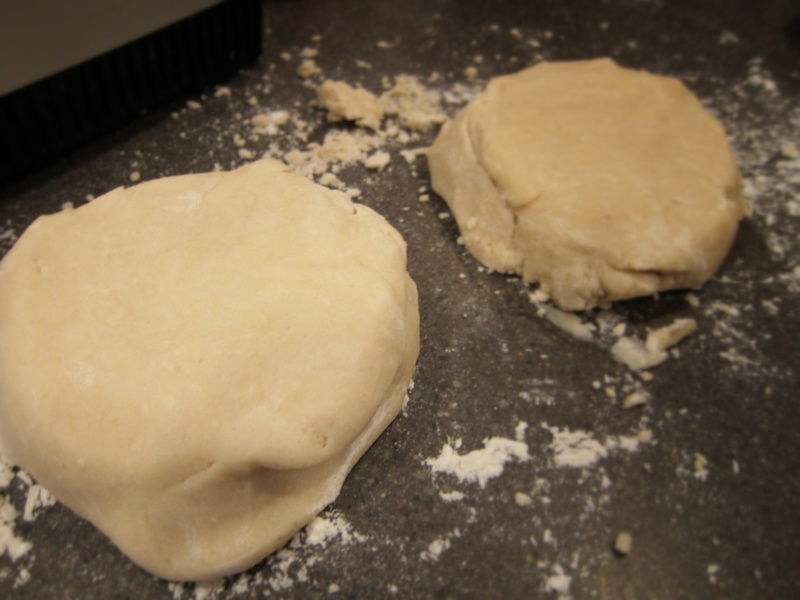 Dump the dough onto a floured surface and knead briefly. Cut it into two halves. Pat each half into a disk shape and place in a zip top bag. Store in the freezer or if you need it right away chill in the fridge for just 20 minutes before rolling it out. Tip: If you are finding it hard to roll out at first let it set on a floured surface for 5-10 minutes before trying again. The pie looks nummy! Looking forward to the ones you bring for Thanksgiving!! !